And now suddenly, it’s Dublin’s newest museum – a miniature one, to be sure, but packing more fascination per square metre than most of the others”. So wrote Frank McNally, in The Irish Times, on 4 September 2015. 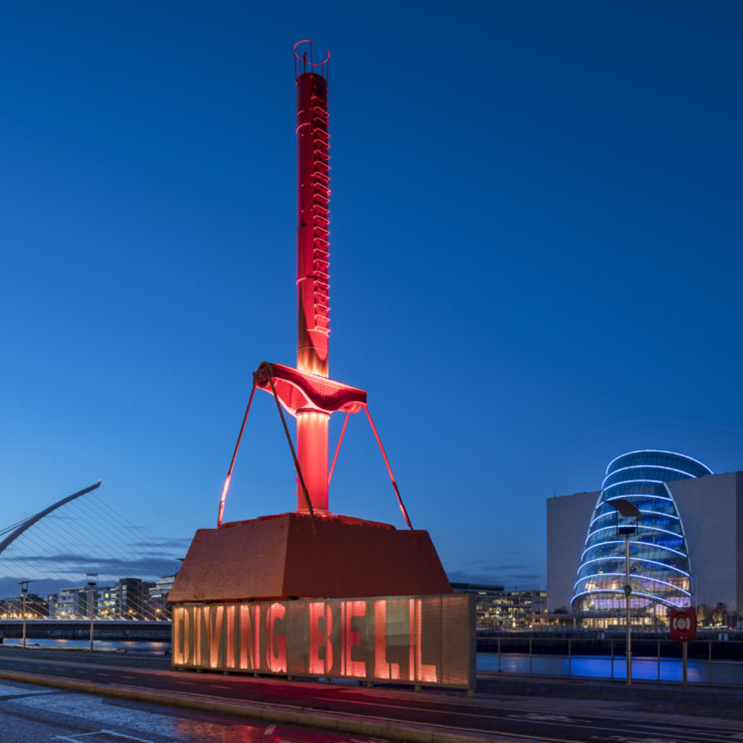 Reconfiguring the Diving a Bell was a fascinating and important project for Dublin Port, as it embarks on an era of large-scale development projects to future proof the Port over the next 50 years. After centuries of interdependence, the link between Dublin Port and Dublin City had weakened over recent decades. Where once there was no physical or perception barrier between the Port and the City, one emerged. This is a problem for Dublin Port as the level of port activity expands. It is also a cultural loss to the City. In response to this, Dublin Port Company (DPC) began to look for ways to rebuild what had been a natural connection over centuries. The obvious ways to try to convince people of the Port’s importance (statistics, PR and advertising) proved fruitless. Instead, the Port looked for inspiration in it its cultural and heritage assets, its soft values. The reconfiguring of the Diving Bell is one such soft values project. It required a multi-disciplinary approach by an architect-led design team of experts to realise a unique cultural and heritage installation on Sir John Rogerson’s Quay. MOLA Architecture took on Dublin Port’s brief and created a unique installation which has added significantly to Dublin’s public realm and the beginning of what, Dublin Port hopes, will be a distributed museum starting in the City and penetrating the largely inaccessible Port. The Diving Bell itself, dating from the 1870s, weighs more than 90 tonnes. It was an almost forgotten artefact from a previous era of massive Port expansion, a curiosity on Sir John Rogerson’s Quay, which ironically, was one of the quay walls it was instrumental in building in the 19th century. The Diving Bell was designed by a brilliant engineer Bindon Blood Stoney. Men, mostly drawn from local communities, would climb the funnel from a purpose-built barge, enter an air lock, with pickaxe and shovel, labour in the chamber below water level to prepare the river bed in advance of the lowering into place of massive 350 tonne precast concrete blocks. This was an innovative construction technique that Stoney pioneered. The reconfiguration design raises the Diving Bell above ground level allowing public access into a space below giving visibility of the bell’s chamber. Sloping walkways in the cobble ground-scape guide a visitor downwards into a space beneath the bell’s chamber no bigger than a typical living room. This space is a mini museum with high quality interpretative panels that tell a fascinating narrative animated with a water floor feature underfoot. Procured via a traditional tender process, post tender negotiations took place to ensure a project budget in line with client expectations. The main contractor, Weslin Construction, engaged positively with DPC and developed a shared vision prior to contract. Weslin was appointed in December 2014 with a six month programme and a deadline coinciding with the tall ship Cuauhtemoc arriving at Dublin Port in June 2015. A modern project management approach was fundamental to the successful delivery of the scheme. Pre-contract scope and cost management presented some challenges when working with such diverse and creative design inputs. 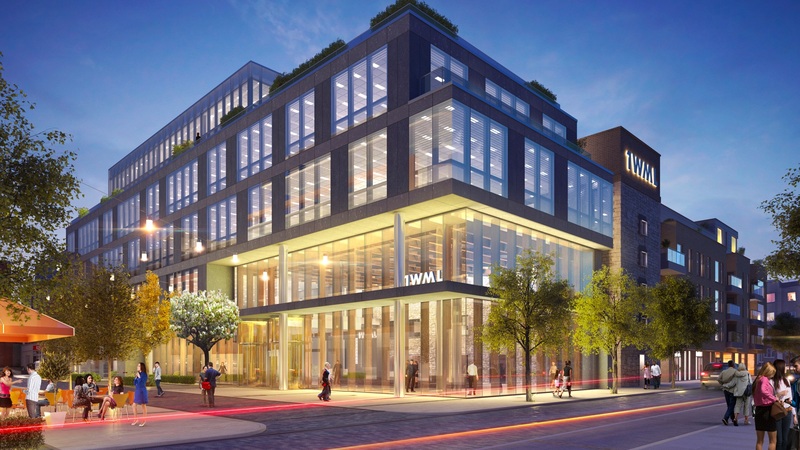 These were overcome successfully through good working relationships and communications fostered between the client project manager, design team and the contractor’s site manager. The project manager’s interest and passion for the history of Dublin and the Port was also a positive. Besides the discovery of uncharted cables during excavations, one of the big challenges of the construction management was the careful lifting of all 90 tonnes of the Bell adjacent to a busy city thoroughfare, requiring crane lifts with road closures into the early hours. The funnel was removed and the Bell Chamber set aside within the site for sand blasting in-situ and decorative treatment of the cast iron chamber. Strict environmental controls were put in place for this operation and this required liaison with local stakeholders and residents.